Eco Supply and Tekstur created the panels that were used in Vox Media's elevator lobbies in New York. Tekstur P1 in Ebony was the pattern chosen for this application. 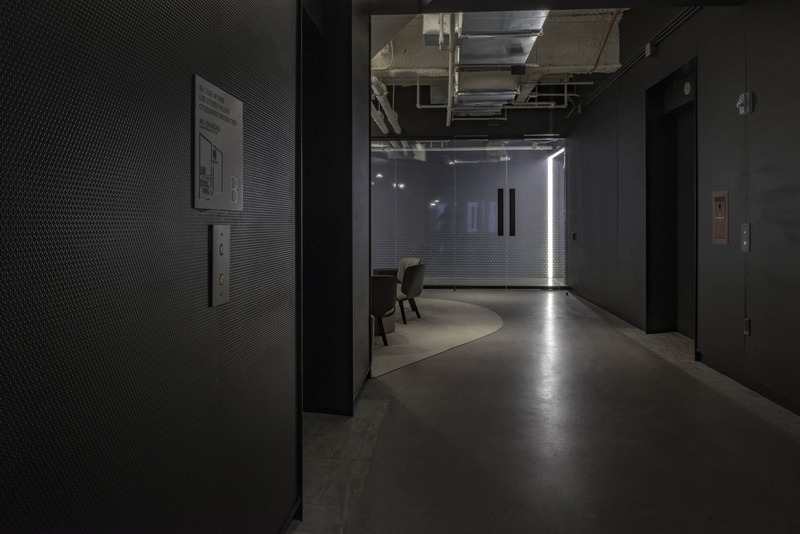 Tekstur paper composite panels are the perfect choice for elevator lobbies, due to their durability and ability to withstand abuse in high-traffic areas. Vox Media is a digital media giant. They are the parent company to media brands such as The Verge, Vox.com, Polygon, and Re/code. Modworxx was hired to build their office in New York's Financial District. Want to learn more about Tekstur? Click the button below to view our pattern collections. Each collection page includes a pattern visualization tool!